The finale of "The Many Arms of Death". 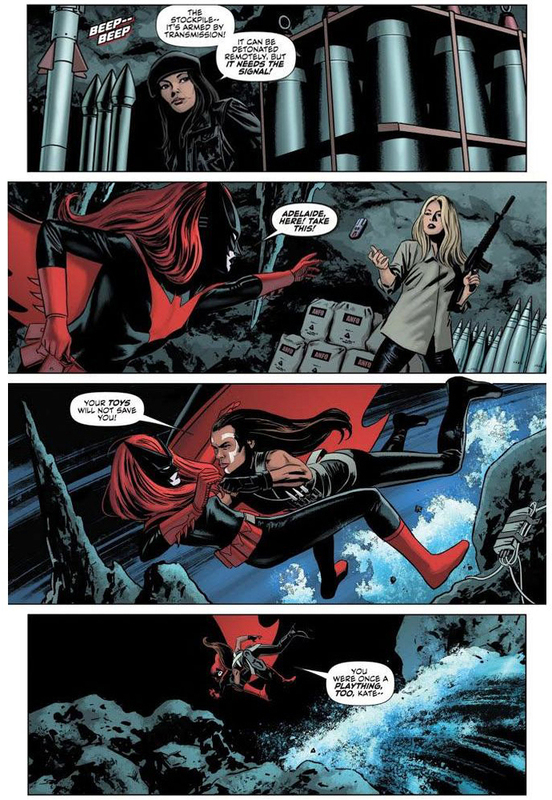 That panel where Batwoman is swung by her hair bothers me because she's supposed to be wearing a wig that would come off if someone grabbed it. Her real hair is very short, as shown in issue 1. I was just thinking the same darn thing! 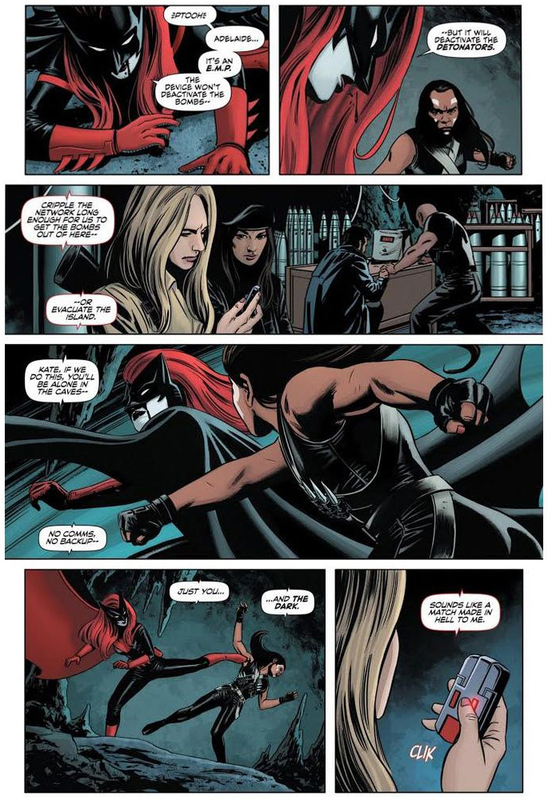 Ever since issue 1 of Batwoman, Batman actually told her to get her hair shortened since one grab and it's over. They than show her taking off her costume to reveal she does in fact have short hair. And in later issues where she needs to escape her insane sister, she gets grabbed by the hair, loses her wig and immediately flies off the roof. Set-up and pay off. And they forgot it here? That is just wrong. Not everyone remembers that Chekhov's Gun is on the wall. I don't think they forgot it here. It's very clear during this arc that Kate has a wig on while in uniform, since her hair is buzzed when she's in civvies (much like in Detective Comics). Rule of Cool. It just didn't come off this time, that's it. 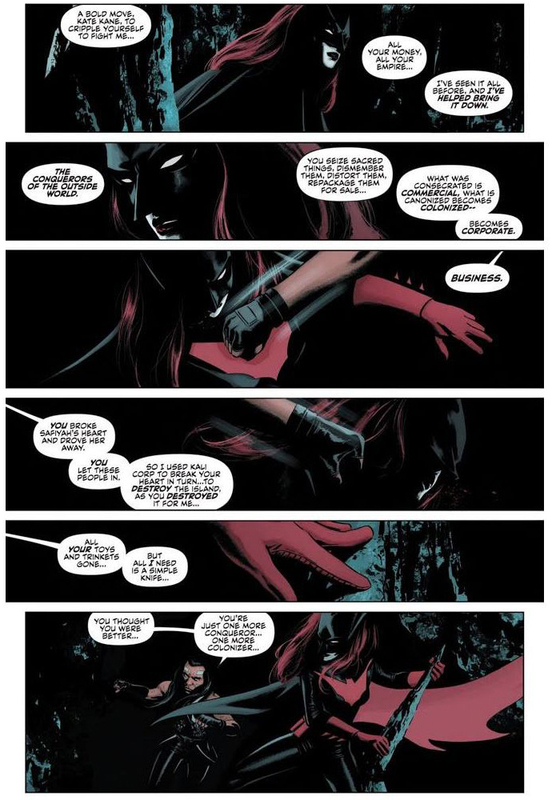 It at least balances out the time in Detective Comics #938 when her entire mask and wig got knocked off by a regular batarang. Kate has money and an empire now? So besides being the female Batman, she's also the female Bruce Wayne now? Uh, Kate's been rich since her very first appearance (11 years ago today, incidentally), and that's never changed, so I don't know why that's surprising. 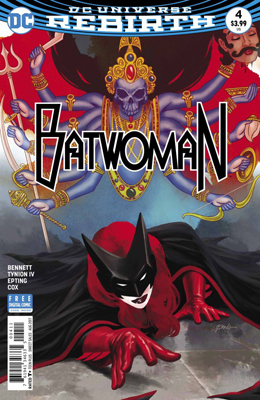 And calling her "the female Batman" is an oversimplification. She's significantly different from Bruce, too. I don't remember that from Rucka's original run in, I think, Detective Comics. I just remember something of a military background. 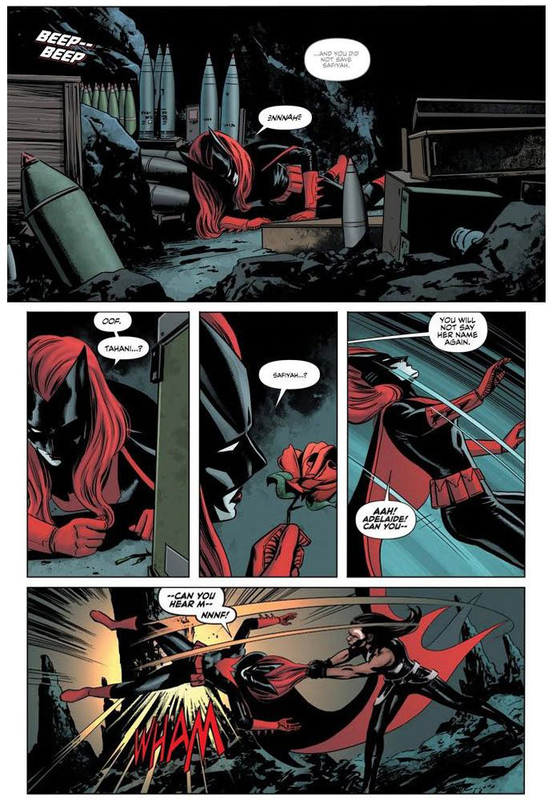 yeah she's not just Kate Kane. she is Kate from the KANE family. the Gotham Kanes. Kate's stepmother is the heiress to a firearms fortune, which has been true since 52. And nothing in Rucka's run says the Kanes weren't initially rich themselves. Rucka actually confirmed a connection to THE KANE family. He disliked Thomas marrying Martha because the Kanes and the Waynes didn't get along.